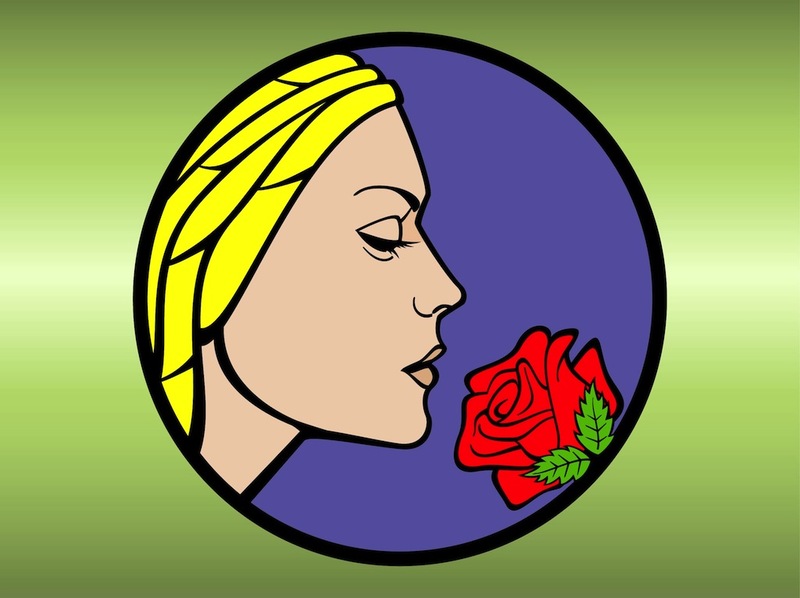 Cartoon style vector portrait of a woman smelling a blooming rose. Beautiful young lady with blonde hair and closed eyes. Portrait framed in a circle. Free vector graphics to create spring, flowers, floral, nature, natural beauty, cosmetics and makeup designs. Cartoon image for stickers. Tags: Beauty, Face, Flower, Nature, Pretty, Round, Woman.